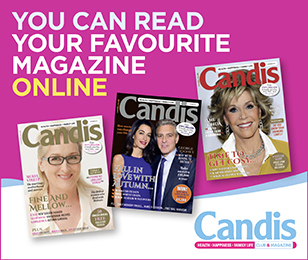 Candis Club Members can enjoy fantastic year round savings at Warner Leisure Hotels. Please log in at the top of the screen for further benefits. If you are not a member, for the latest subscription offer please join now. Exclusively for adults – Come and see what Warner Leisure Hotels has to offer you. Come and enjoy a stay in one of our 13 stunning locations throughout the UK. All of our hotels are situated in wonderful places with acres of stunning gardens ready to be explored. So whether it’s a country manor deep in the heart of the British countryside or a coastal chalet nestled in a beautiful seaside village, we have the perfect location for you. Candis Club members can enjoy fantastic year round savings at Warner Leisure Hotels. *Terms and Conditions: Savings of up to £350 per room is on certain breaks and subject to availability. Extra £10pp is taken off at time of booking when quoting your offer code. Pricing and offers are based on 2 people sharing accommodation with half board. Prices are correct at of time of printing. If there isn’t availability at this rate then you will be offered the next best rate. Supplements may apply for attributes such as upgrades, views, balconies, spa treatments, fine-dining and patios. All offer breaks apply to new bookings only, are subject to promotional availability which is reviewed daily and cannot be combined with any other offer or discount. Offers are only applicable on bookings for up to 19 people and exclude bookings with group or coach benefits. Warner Leisure Hotels reserve the right to change or withdraw any offers or dates at anytime without prior notice. Full terms and conditions apply as stated in the current Welcome to Warner guide and on the website. Calls to 033 numbers are charged at the standard UK rates and will be included in any inclusive minute bundles. Bourne Holidays Ltd (trading as Warner Leisure Hotels) is a company registered in England and Wales with company number 01854900 whose registered office is 1 Park Lane, Hemel Hempstead, Hertfordshire, HP2 4YL. Offers a superb collection of over 54 independent hotels throughout Ireland. Hi John, if you go to the Warner Leisure Hotels website at http://www.warnerleisurehotels.co.uk you will be able to get all the information you require. Thanks, Candis.